Glasswater Theatre is an ensemble of artists dedicated to theatre that explores the hard questions that life asks. We provide a forum for this exploration through a mindful creation process and the production of both new and established works. We believe that the most transformative moments in theatre occur when the audience and artists recognize themselves in one another. To that end, we create and present theatre which reflects the intersection between the reality of our world and the theatricality of the stage. When water is perfectly still, it is possible to see not only your reflection on the surface, but also through the surface to what lies underneath. Glasswater’s focus is similar: to show our audiences a part of themselves through our work, while creating thought and depth that drives our work to explore deeper parts of our humanity. For more information about our mandate, or if you would like to become a part of the Glasswater community, send us an e-mail using the form on the Contact page. Glasswater is a proud member of the Toronto Alliance for the Performing Arts (TAPA), celebrating their 35th year of as the voice of theatre, dance and opera in Toronto. Mairin Smit is a Toronto-based director, actor and movement artist. Prior to founding Glasswater, she worked as resident director of Theatre Recap, where she developed her passion for collaborative creation and developing new theatrical works. As a trained classical ballet and modern contemporary dancer, she has developed a unique and innovative directing style involving improvisation, movement and actor instincts. Current areas of interests include alternative staging methods through movement and the use of found space. She is a graduate of UC Drama at the University of Toronto. 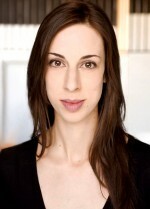 Emily is a newer addition to Toronto and its theatre community. After completing her BFA in acting at the University of Victoria, she made the move to Toronto in order to seriously pursue an acting career, having also trained with Patsy Rodenburg, Daniel Brooks, Peggy Baker and Theatre Gargantua, among others. She is interested in multi-disciplinary work and bringing the diverse aspects of her training into each of her performances. 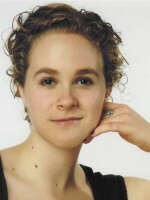 She has been involved with Glasswater since their first production, Far from the Tree, in 2011. Kristen studied theatre at the University of Southern California in Los Angeles. Recent credits include: Sharon in A Question of Faith (Next Stage Hollywood), Mother in Ash Girl (Scenedock Theatre), Alice in After Juliet(Scenedock Theatre), Prudencia in The House of Bernarda Alba (Scenedock Theatre), and Lily in Loose Knit (Ground Zero). Kristen is co-founder and former Managing Director of TaketheStage Theatre Company. 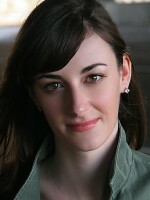 In Toronto she was Stage Manager for Let My Mind Run Dry at the Alumnae Theatre Company’s New Ideas Festival. Kristen is a member of Glasswater’s Board of Directors. 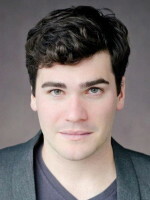 A Toronto-based theatre creator, in addition to his work as a community developer and advocate, Luke helped to found Glasswater in 2011. He has produced for multiple companies in Toronto, and is particularly interested in creating work which engages human behaviour. He manages the operations of the company, and occasionally performs on stage. Recent theatre credits include Honest Aesop’s Fables (Tarradiddle Productions – a sell-out at the 2013 Toronto Fringe), Prayers for the New World (Glasswater Theatre) and Robin Hood: The Legendary Musical Comedy (Hart House Theatre).